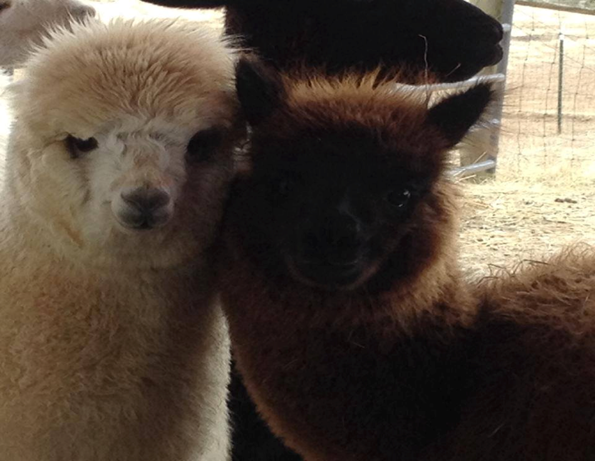 At Jenny’s family-run business, they harvest the wool from their own Alpacas, spin it, dye it and sell the yarn. They take their business to the next level by offering knitting classes every Saturday and give lessons on spinning the yard. They also have a great retail store that sells knitting supplies, books, and other tools for crafting with wool. We first heard about The Red Barn Yarn Farm at a St. Joseph Chamber of Commerce event. Hearing Jenny Hudgins describe her business immediately peaked our interest. We were even more intrigued to find out that it’s a family run business just outside of St. Joseph. Jenny, along with her husband James and their three children, Austin, Sam and Tori, began working toward opening The Red Barn Yarn Farm three years ago when the family bought the alpaca farm and moved to St. Joseph from New Mexico. After many years of research and hard work, the business officially opened in March 2014. As we looked more at their website and social media, we realized that Jenny and her family had a great grasp on some important steps for new businesses from a marketing standpoint. What Jenny and her family have done with their new business is a great example of starting from scratch. Create a great website will comprehensive information? Check. Consistent and interesting posts on Facebook? Check. Giving customers a unique product? Check. Hosting events to keep customers coming back? Check. Invite the community to your business to show it off? Check. They have a great recipe and hit the ground running in their new business. The Red Barn Yarn Farm receives a thumbs up from the staff at Susan J. Campbell. We applaud them on creating a niche business that is creative and fun, as well as their active presence on social media. Their consist posts offer a way for customers to engage with the business and offer a great inside look at how the business works and creating a family business feel to their brand. 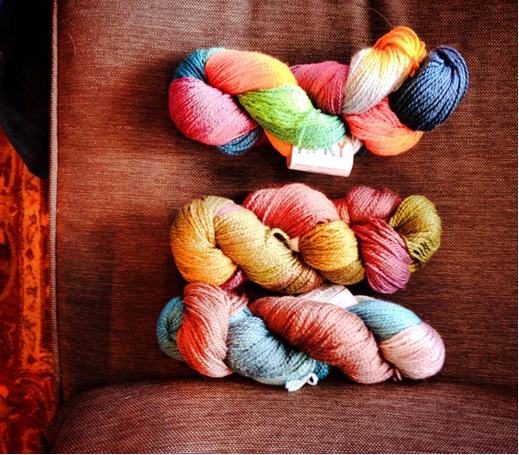 We are always brainstorming more ways The Red Barn Yarn Farm and other new business can start telling their stories and reaching their target audiences. Contact the staff at Susan J. Campbell Copywriting Solutions to start your own brainstorming session today. This entry was posted in Monday Morning Coffee and tagged Monday Morning Coffee, Red Barn Yarn Farm. Bookmark the permalink.